Cord-cutters and cord-nevers are growing more than ever; the traditional TV industry is witnessing this with its declining growth. This industry trend is also evident by the number of industry players that are entering the OTT arena, owing to its enormous potential. 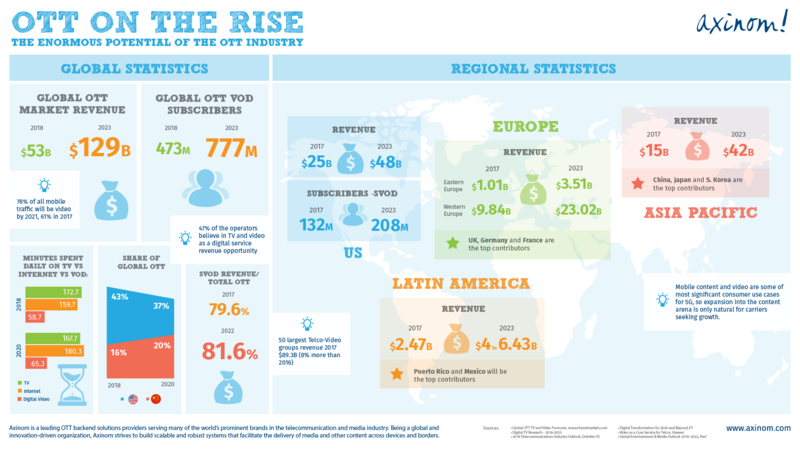 OTT is growing not only because viewers want high-quality content on demand with a choice of consumption mediums, but also a choice of how they pay for and enjoy the services. But how much potential does it hold? How is it distributed throughout the world? What’s the revenue potential? To answer these questions, we have made an infographic that shows the current state and the future predictions of OTT industry. 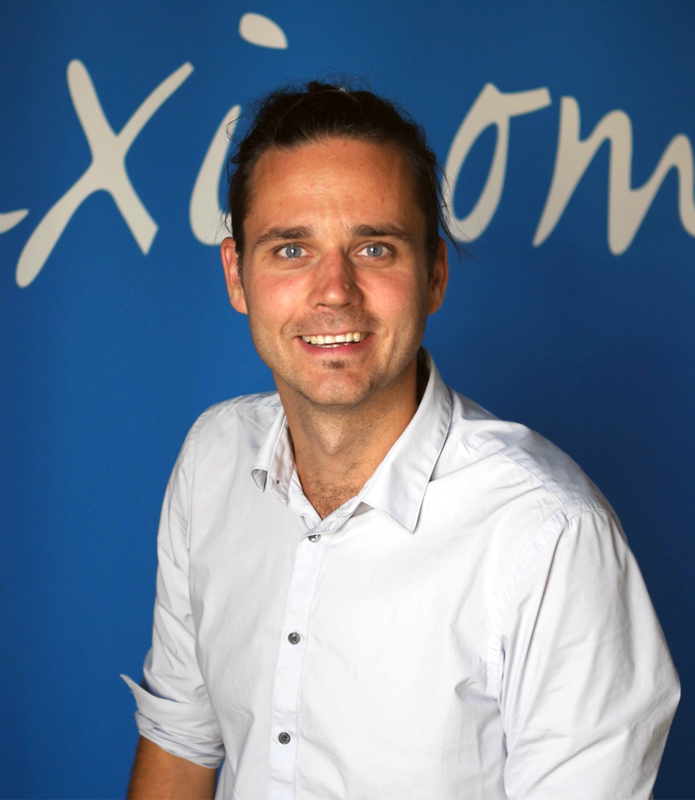 Axinom is a digital OTT solution provider that can help you build a highly scalable global platform. The end-to-end flexible and robust media workflow is based on Axinom products of Axinom VIP (a video ingest and processing system), Axinom CMS (an industry-leading content management system), Axinom BIS (a backend interface and services system with third-party integrations), Axinom DRM (a multi-digital rights management service) and Axinom FE SDK (a frontend SDK to integrate and build frontends). This rising trend for OTT won’t slow down in the forthcoming years as the technology continues to push this growth. It is evident that OTT is the future of entertainment.